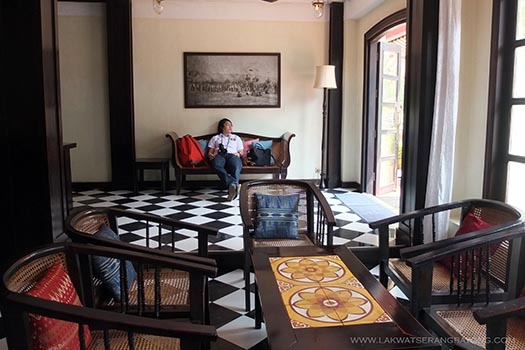 In February of 2015, we went on a quick side trip to Vientiane - the capital of Laos from its neighbor country Thailand. A 12-hour overnight train ride beginning from Bangkok bridged the gap between the two countries. 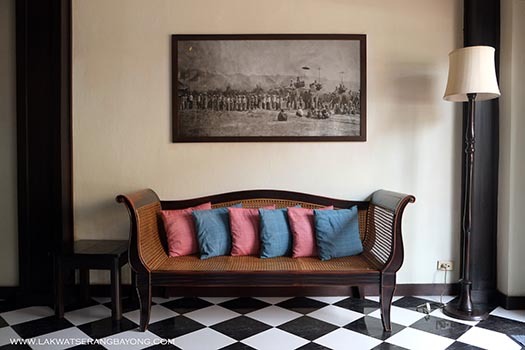 The French colonial villa mixed with the rich pattern of Lao architecture of Hotel Khamvongsa was an excellent base. 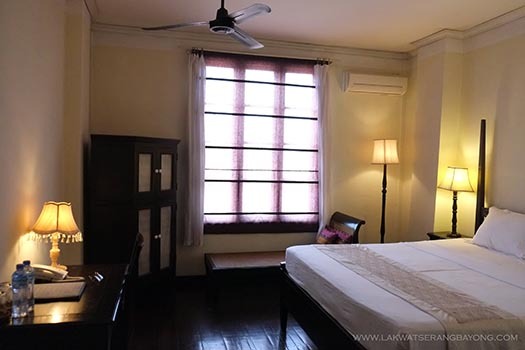 The 26-room boutique hotel is conveniently situated just meters away from the Mekong River, the night market and within walking distance from other Vientiane landmarks. 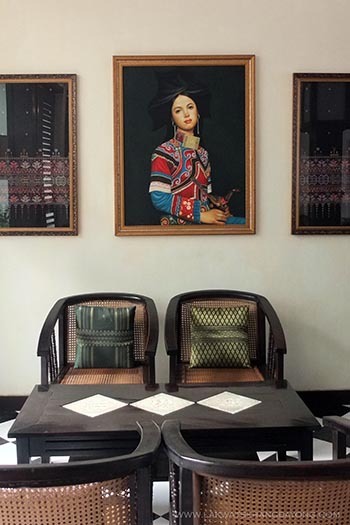 The hotel’s façade opens to Khun Bu Lom Street and several eating options are in the area. A bank is a few steps away if you need to change currency. Bring your passport. Baht is also accepted for trade. Across is a small temple of Wat Inpeng with its orange robed resident monks. 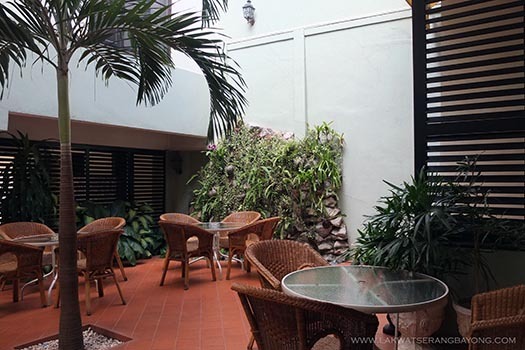 For $45, it is an excellent value boutique hotel. 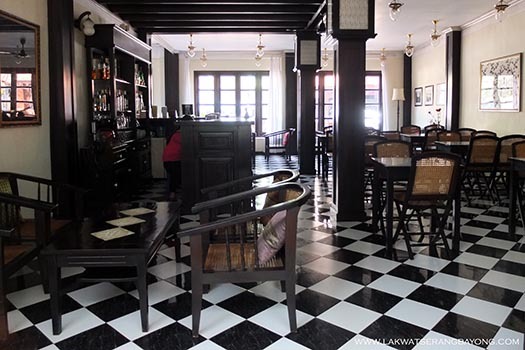 Our comfortably furnished air-conditioned room is beautiful with its high ceilings and dark wood floors. 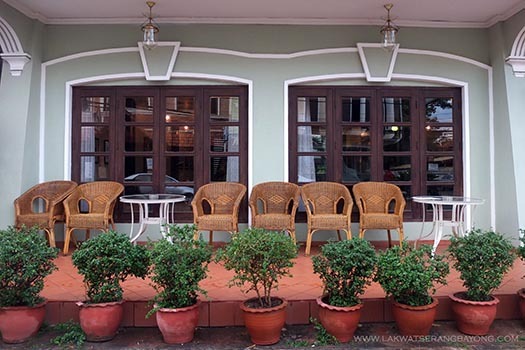 A chaise placed by the tall window oriented towards the river is perfect for lounging or reading a novel. The lamps are not suitable for reading but you can draw the shade to let light flood in. The TV and mini-fridge is discreetly tucked in a handsome armoire. Writing desk is also provided. Ensuite bathroom is spotless and has good pressure of cold and hot water. There’s free WIFI in room and in the common areas. It is worth to note that the 4-story building has no lift but since our room was at the second floor and we were assisted with our luggage, we didn’t mind the stairs. 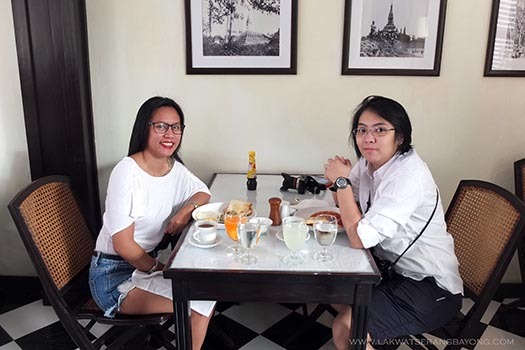 A delicious breakfast sourced mostly from fresh local ingredient was included in the room rate and was served at the airy central courtyard or the elegant lounge. Service was excellent all through out. The staff even helped us negotiate and communicate with our tuktuk driver for the tour and extended our check out time. This is what I love about boutique hotels, there’s more warmth with the service and more character in the building. It maybe small but doesn’t lack on creature and sometimes even luxurious comforts.